Calling all teens with ideas! Does your community have room for improvement? Do you have an idea about how to transform a vacant or underused space in your neighborhood? 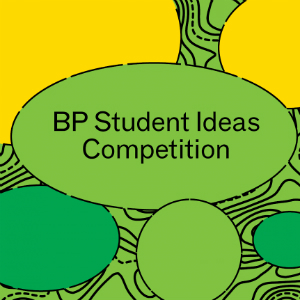 Your idea could earn a cash prize if you enter the 2019 BP Student Ideas Competition at the Chicago Architecture Biennial. The competition welcomes submissions that explore ideas about architecture and the built environment from a wide range of disciplines including design but also the humanities, visual and performing arts, and STEM fields. The competition, sponsored by BP and presented by the Chicago Architecture Biennial in collaboration with Chicago Public Library, asks teens to share ideas about how design can play a role in creating shared spaces and improving communities.